If you’re a person who likes hunting wild hogs, Wild Boar USA has the gear you need. Known as wild pigs, feral hogs, wild boar, and a variety of other names, these animals can be tricky to nab unless you use the right equipment. Whether you’re a casual hobbyist or a seasoned boar hunter, we offer something for everyone. Do you need a vest for your dog when you take them out hunting? We have the best hog dog gear around. Are you looking for solutions to attract hogs, and traps to make sure they don’t escape? We can provide that as well. Whether you need hog hobbles or cable couplers, we’ve got it all. Our diverse store has plenty of quality products you can use the next time you want to bag a boar. What sets our organization apart from the rest? Our products are tested in the field, where it really counts. We are committed to truth and integrity when it comes to bringing people the most fitting solutions for handling hogs. If the product hasn’t been proven to help out when it comes to tracking and catching hogs, we won’t promote it. Wild boars didn’t earn their name from being docile creatures. They can be highly dangerous and pose a threat to you and your dog. We believe that hunters who keep the wild pig population under control need the best equipment to do so. We’re here for you whether you are into archery, firearms, hog doggin', hog trapping, or just plain ole wild hog eradication. No matter if you’re looking for hunting accessories or first-aid solutions for your dog, choose Wild Boar USA. 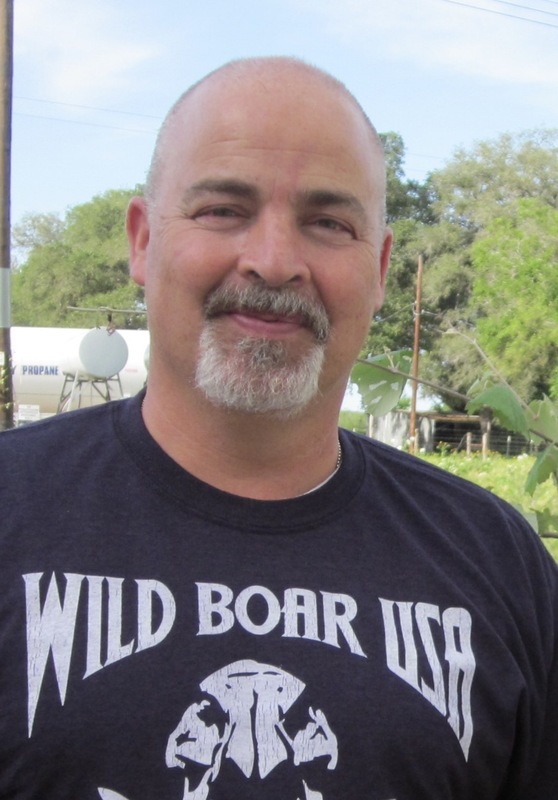 Wild Boar USA was founded by Cody Weiser who has established himself as a pioneer for the hog hunting industry. 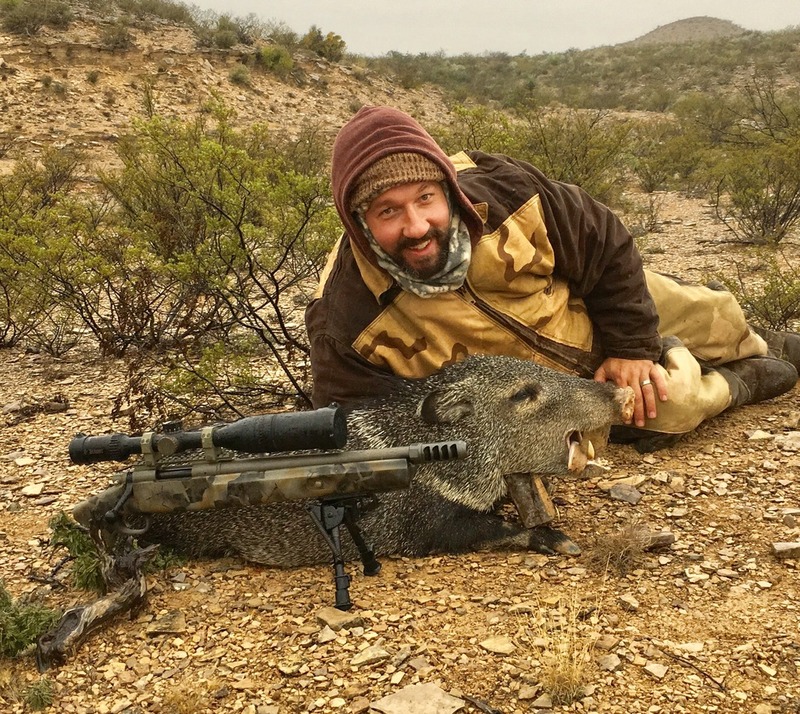 He is a leading author in hunting related articles and published Wild Boar USA magazine. Cody also designed the Guardian and Titan series vests. Cody developed Weiser Weight and Tusk, which is a world class wild boar and wild barr scoring system based on tusk and weight class. Cody remains available as a consultant whose input is an invaluable resource. Cody is our resident expert on any and all questions relating to any form of hog hunting, from ammo to hog X-termination!! Cody also developed Black Gold Wild Boar Attractant. Cody killed his first wild hog while on a deer hunting trip with his family in East Texas when he was 12 years old. That one event ignited a spark inside him that soon turned into a passion for the sport of Hog Hunting. At age 18, Cody began raising feral hogs and soon began researching European boars. He tracked down the few people in the USA that had recently imported these animals. It was not long before Cody had obtained pure European boar stock of his own. Thru selective breeding, he produced some of the largest boars ever known in captivity. Cody called his hog operation, "Brutal Boar Creations" and he quickly gained a reputation as one of the top breeders of European boar in the United States. Cody produced boars that were shipped to ranches as far away as Pennsylvania and California. In 2002 Cody developed the "Weiser Weight & Tusk" wild boar record book which to date is the only record keeping system for trophy wild boars. In 2003, Cody became a field editor for Boar Hunter Magazine and wrote for that publication until 2006 when he broke away and started his own publication, "Wild Boar USA" which he printed until 2008. Cody also invented and developed the wild hog attractant "Black Gold" which became the foundation for his hog hunting based company. In 2008 Cody expanded and purchased the hog-dog supply company "Ugly Dog Ranch" and merged this with Wild Boar USA. Cody and his Pro-Staff worked extremely hard to research and develop new blends and combinations of materials that offered hunting dogs the best level of protection possible from the dangers of wild boar tusks. Cody's most notable piece of hog-dog equipment is the Guardian style line of cut vests that have saved the lives of hundreds of wild boar catch dogs. Cody also became the call-on man for the hunting and shooting industry when these companies wanted to get a shot on a big Texas hog. Cody has guided hunts for personnel from the following companies: Crimson Trace, Smith & Wesson, Ruger, Marlin, DPMS Panther Arms, Patriot Arms, Barrett Firerams, NRA, Cabela's, XS Sights, SFI, CORBON Ammo, Michael's of Oregon, Leupold, Surefire, Harris Publications, SHOT Business, FMG Publications and many more. Cody has also helped video companies such as The History Channel, Wildlife Quest, NRA, and Bloom Brothers get footage of wild hogs for video projects. In 2009 Cody sold his company to JC Cassens. Cody remains on the Pro-Staff with Wild Boar USA.